Hill street holdings in conjunction with Bloombridge LLP had sought to find some volume employment sites still within the valuable Oxfordshire commercial market. 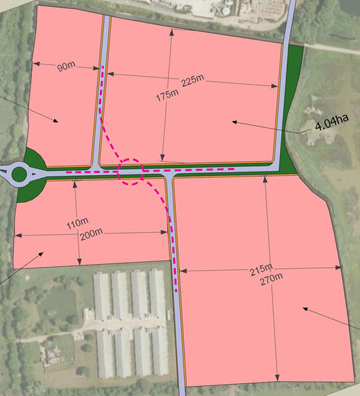 We acquired an option to promote and buy the site at the A41 offering potential as a first class gateway business location. As a result of our promotion the land has received an allocation in the draft Cherwell local development plan as an important part of the housing employment balance of Bicester as one of the biggest planned growth towns in the country. The site is aimed at capturing the production elements from the high tech sector and volume manufacturers located in the region.